An aluminum standing seam roof offers a clean contemporary look that can make your house the centerpiece of your neighborhood. 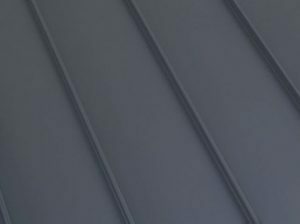 Classic Metal Roofs, LLC has been well-established for over a decade, serving the needs of homeowners in all of Southern New England, including Massachusetts, Connecticut, Rhode Island, and Southern New Hampshire. Family-owned and -operated, we offer all types of metal roofing solutions, not just meeting customer expectations but ultimately surpassing them. Working with Classic Metal Roofs means harnessing the more than three generations of seasoned building experience we have in the region. 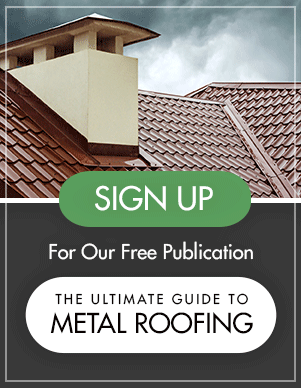 As a metal roof company in Southern New England, we are a part of a national metal roofing dealer network and that translates to a factory-warrantied metal roofing system that is simply the best for you and your New England home. When you need a local residential metal roofing contractor in southern New England, you can rely on Classic Metal Roofs, LLC. For over a decade, our family-owned business has helped make over homes throughout the Northeast. With expert roofing solutions and personable, down-to-earth customer service, we know how to make your home beautiful, safe, and ready to face the harsh New England weather. We are dedicated to providing outstanding results – at a competitive price. Whether you need roof repair, snow retention system, a new installation, or replacement, our knowledgeable consultants will help you find the perfect roofing solution. Classic Metal Roofs, LLC never uses subcontractors. There is no need – we have the region’s best metal mechanics. We preside over every installation ourselves to ensure that each job adheres to our high standards for quality and precision. This means that homeowners can rest assured that the new roof will withstand the test of time. Classic Metal Roofs, LLC specializes in aluminum metal roofing, which is the go-to material for most of our metal roofing projects. Aluminum is durable, reflects heat, and works well with the industry’s highest standard of coatings and colors. In addition to aluminum roofing, we also offer copper and zinc roofing options. We do not recommend steel, galvanized, or galvalume metal roofing for residential applications, as these materials will show rust in a very short period of time. Our product lines include the most state-of-the-art materials on the market, including metal shingles in Slate and Shake profiles. We supply and install standing seam metal roofs for homeowners who prefer that profile. Finally, for low slope and flat roof applications, we represent IB Roof Systems’ single-ply membrane system, which offers the best residential warranty in the industry. Whatever your need or taste is, we can supply and install the product your home needs to face the harsh, unpredictable climate in CT, MA, NH, or RI. It is difficult to find a roofing company that knows and does the installation process from start to finish. For roofing solutions in Southern New England, you can rely on Classic Metal Roofs, LLC. Call your local metal roofing contractor today at one of our regional offices in Stow, MA; East Berlin, CT; West Warwick, RI; and Nashua, NH. We will help you find the right roofing solution for your home.